SHELTER REESTABLISHMENT FUND: We have created a Shelter Reestablishment Fund for those wishing to support our efforts as we move forward after Hurricane Florence. Visit our page here to donate and for updates as they become available. 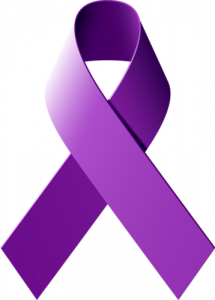 We remain grateful for the continued support for victims of domestic violence in our community. Having sustained substantial damage during Hurricane Florence, our shelter is non-operational at this time. Although the clean-up and repair process will be lengthy, we remain committed to continuing to provide vital life changing services for victims of domestic violence in our community. During times like these, support is needed more than ever and we know that together we will be able to restore our shelter as a place of peace, comfort and renewal. Through the work of our dedicated staff, board, and volunteers and with the support of our caring community, we were able to provide services to 1,181 adults and 203 children and shelter 168 adults and 90 children last year alone. While we undergo the renovation process, our services will remain without interruption through the continuation of our many partnerships and needed financial support. Our community of supporters has lifted us up for the past 33 years and placed trust in us to provide critical services. Please know that we appreciate your continued support and your belief in the work we do and those we serve. If you are interested in donating to support our recovery efforts and services for victims of domestic violence, please click here to donate or mail contributions to PO Box 1555, Wilmington, NC 28403. The Domestic Violence Advocacy Council and the Pulliam family are honored to announce the nominees for the 2018 IMPACT Award. This award has been established this year to mark the 10th anniversary of Tarica Pulliam’s death at the hands of an abusive ex-boyfriend and to celebrate her legacy of love and service to our community. This award hopes to serve as a commitment to not only remember the names of those who have been lost to domestic violence; but to provide a platform to celebrate the individuals who shine a light on the issue and inspire hope in our community. We would like to congratulate the nominees, thank all those who took time out to submit a nomination and encourage everyone to stay tuned for individual profiles of each nominee! Provided direct services to 1,165 women,46 men, and 204 children for a total of 1,415 individuals. Provided 137 youth/college prevention and education programs for 2,874 people. Our agency was established as a non-profit agency, 501 (c) (3), in January 1986 through the consolidation of the community’s two existing domestic violence programs. For over 32-years, Domestic Violence Shelter and Services, Inc. has empowered victims and their families to break the cycle of domestic violence by providing shelter and on-going support services, as well as public awareness and prevention programs. We are powered by dedicated volunteers committed to making a difference in the lives of families in their community. We receive and are dependent upon support from local sources: civic groups, religious groups, businesses, private citizens, and governments. Income is also generated locally by the agency’s operation of the Vintage Values Resale Shops. Our agency is a non-discriminatory, equal opportunity agency, partially supported by the Family Violence Prevention and Services Act, the North Carolina Council for Women, and the Governor’s Crime Commission. Governing documents, policies, and statements are available for public review upon request. 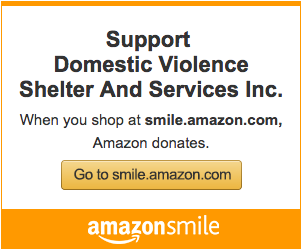 Proceeds Benefit Domestic Violence Shelter and Services, Inc.